then modern-for-all: easy flight with simple collapsable hang gliders with build-one-for-yourself plans for the world: Otto Lilienthal and others. Global project for comprehensive history of hang glider designing, construction, and application. Note: Herein: the various PG formats (gliding kites) are generically a subset of hang gliders, as are other gliding parachutes. Also, hung-mass parasol-dominant gliders and kite-glider systems are understood in this history as hang gliders. The mechanical arts shaping aircraft that have been borrowed for instructing scientific, commercial, and sport hung-mass glider systems is to be fully integrated in the history. Design and use is a fuzzy art; the fullness of hobby, scientific exploration, sport, recreational, and practical commercial applications of hang gliders invite recognition and appreciation of many people specially forwarding hang gliders. The modern history of hang gliding started, it is the opinion of the many, with the 18 or 19 hang gliders of Otto Lilienthal, and his personal flying use of those in successful controlled free-flight and and some soaring. Otto started the modern sport of hang gliding; he did commercial serial production of hang gliders; he spread the hang gliders around the world. 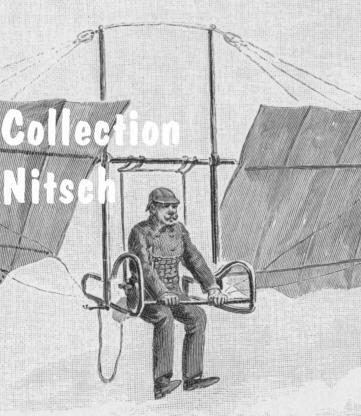 Following from Otto's radiance were a long series of hang glider meets, gliding clubs, and a rich patent history. As Otto and earlier Cayley, it was commonly known by those skilled in the arts that any kite's anchor could be hung mass freely falling to make a hang glider at any size from tiny to giant, manned or unmanned. 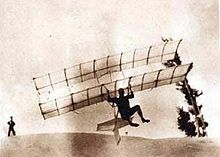 American William Randolph Hearst bought an Otto Lilienthal hang glider and hired an athletic youth to fly it in America. Australian aeronautical guru Lawrence Hargrave communicated with Lilienthal and kiting and aviation was never quite the same after Hargrave's wide spectrum of contributions. Following such start of modern hang gliding thousands of people built and flew all manner of hang glider; there were rises and dips in popularity connected with the wars, economic changes, focus on powered aircraft, and availability of materials. The 6-person hang glider flight by Wills and many 2-person hang glider flights sparked the landscape. The very simple A-frame cable-stayed to simple hang glider wings with pilot hung behind the triangle control frame --an A-frame-- was demonstrated within a gliding club in Breslau in 1908, but that was not the first use of the A-frame and hung pilot. The colorful history of hang gliders will be traced in this site. Help from people around the world is making this study and sharing possible; you, Reader, are welcome to send in notes to develop the Timeline and stories that enrich. The pre-modern hang gliders are important to us and no less exciting; we will follow pre-modern hang gliding as the information and stories permit; in about 1040 CE circa ... a monk had stiffened flexible wings and apparently had a little hang glider glide and a big splash that broke both his legs evident for the rest of his life; with joy he expressed he might have faired better had he a tail. NCHGH is now one of the thousands of chapters in HangGliderHistory. NCHGH is the chapter about "Not-See" truncation and a flattening of hang glider history. NCHGH is full of untenables. Additions and clarifications are sought. HangGliderHistory forum Talk it up! Notes about John Worth (RIP) totally simple hang glider is invited. Start is found HERE. Notes about James Hobson (RIP) very simple hang glider. Start HERE. Notes about Thomas H. Purcell and his adventure.with FlightSail, all versions. Start HERE. Notes about John Wallace Dickenson and his adventure that later in life include the NCHGH involvement. Start HERE. Notes on futurisms in hang glider systems. Post in the open free forum at HERE and we will notice your sharing. 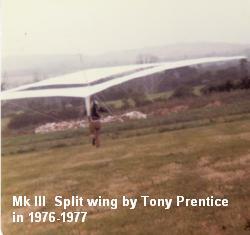 Or send direct to Notes@HangGliderHistory.com or give us a link to your notes.